Building a new home or looking for a fresh take on your current home? We're here from start to finish, no matter where you are in your project. Whether you're improving your home for your personal tastes or update a home you own to put it on the real estate market, the possibilities are endless. No job is too small or too big for our team at J.B. Services. When we say "unlimited", we mean it! We have experience with both residential and commercial projects, in everything from repairing a faucet to repairing an entire roof, we have you covered. Our team's skills with masonry are rock solid. 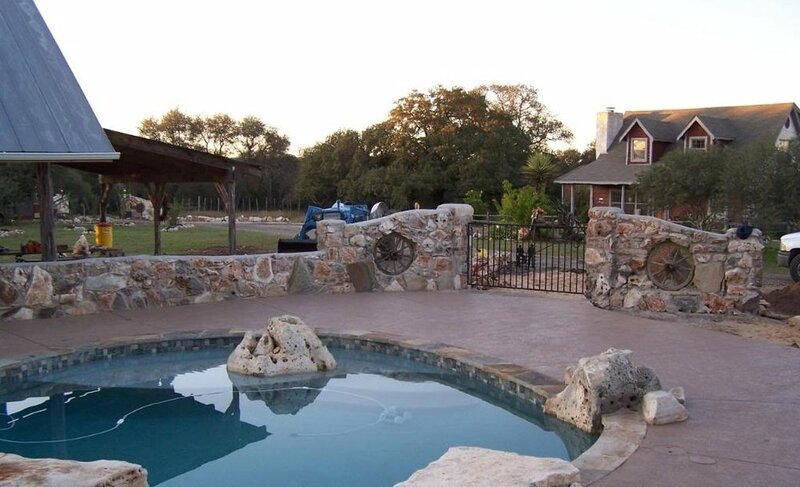 We've created elaborate, custom stone fencing as well as foundation laying and repair. We work with all types of stone for outdoor and indoor work, from brick to concrete, adding to existing work or creating something new. Don't see a service listed here for the type of work you're looking for? We'd be happy to discuss your project with you! Proudly serving the Central Texas area since 1989. J.B. Services Unlimited offers construction and handy man services for residential and commercial projects. Contact us today to discuss your project!